THE SACKLER OPIOID EMPIRE (Purdue Pharma) is now considering bankruptcy to avoid large payouts on thousands of lawsuits piling up in the courts. Cases are being brought by states’ attorneys general with the first case from Oklahoma going to court in May. There is real activism developing to enforce some accountability. Opioid crisis protesters are targeting New York’s Guggenheim over its Sackler family link. On a per-capita basis, this plague is impacting Whites at a far greater rate than Blacks and Hispanics. And the trajectory for Whites is becoming parabolic. 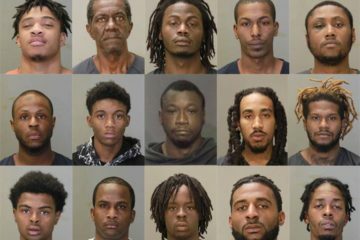 This is de facto White suicide. It also tends to be a rural- and smaller-town heartland plague. Data on opiate drug-dependent babies in Illinois shows the numbers are climbing. Between 2011 and 2016, the number more than doubled in urban counties and more than tripled in rural counties. But the ballooning use of opioids — whether as prescription drugs or heroin — is preventing many workers from coming back into the job market. About 1.8 million workers were out of the labor force for “other” reasons at the beginning of this year, meaning they were not retired, in school, disabled or taking care of a loved one, according to Atlanta Federal Reserve data. 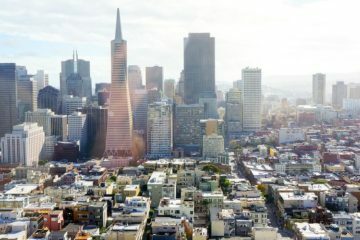 Of those people, nearly half — roughly 881,000 workers — said in a survey that they had taken an opioid the day before, according to a study published last year by former White House economist Alan Krueger. The latest iteration of this scam is now that the native-American workforce is wrecked from opioid and other addictions that turn up in drug tests. Employers must turn to so-called non-addicted “refugee” and illegal populations. Even ibuprofen can be abused. A few years ago, I was using it constantly for chronic bursitis pain in my Achilles tendon. Then I came across an old college roommate who is now a leading pain physician. He railed hard on the pharma industry, calling them bad actors, and got me on turmeric, which works about as well and has some other benefits, especially mental. Per usual, this criminal prescription racket is based on greed more so than stupidity or poor training. Greed at the expense of others is de facto malice. Here are the main culprits based on 2015 sales: Purdue Pharma, Johnson & Johnson, Insys Therapeutics, Mylan and Depomed. 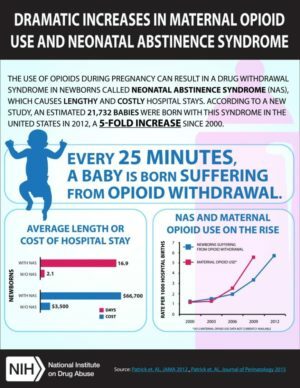 They made the top five opioid products. There are huge profits to be made in opioid pill popping. Drug companies incentivize “doctors” to prescribe opioids that their patients may not need. The state of Ohio is suing five drug companies, accusing them of fueling the opioid crisis there by misleading doctors about the risks of addiction. The lawsuit names Purdue Pharma, the maker of OxyContin, and four other manufacturers of opioids: Teva Pharmaceuticals, Allergan, Endo Health Solutions and Janssen, a subsidiary of Johnson & Johnson. “These drug manufacturers led prescribers to believe that opioids were not addictive, that addiction was an easy thing to overcome, or that addiction could actually be treated by taking even more opioids,” Attorney General Mike DeWine said in a statement. 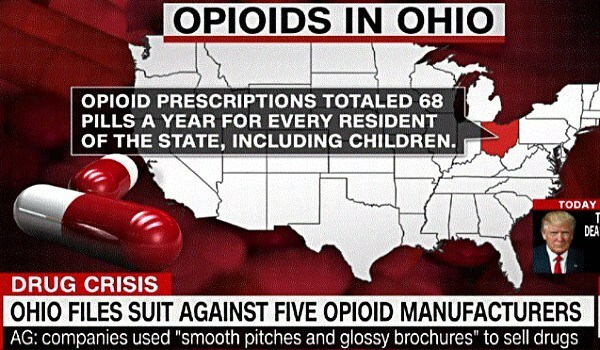 In the suit the State shows that every man, woman and child in Ohio takes 68 opioid pills per year. Although we applaud the states’ attorneys general, all humanity needs to get away from the bread and circus and iPhones long enough to learn basic self-protection against this and many other predatory rackets. You are constant prey to the Kakistratic Crime Syndicate’s system. In addition, even if your doctor cuts you off, the drugs are on the street, or sold through pill mills. 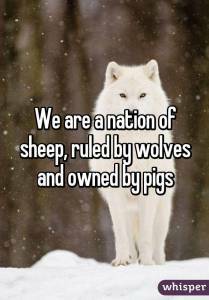 You are sheep in their eyes, so at least be alert and smart-acting sheep. Avoid being a hypochondriac. Don’t fall for thinking every ache and pain can be “cured” with a pill. Do not fully trust anyone in the medical system, and be especially on guard about painkillers. 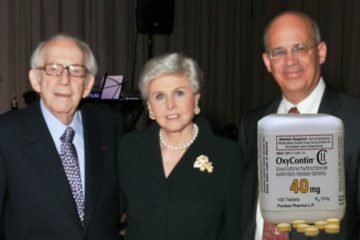 The godfather of OxyContin, the Zionist Jew Raymond Sackler, died in 2017 at 97. Throughout his life, Sackler generously poured his opioid winnings into higher education for Israel. Say what you will about the Tribe, unlike some people, they take care of their own. 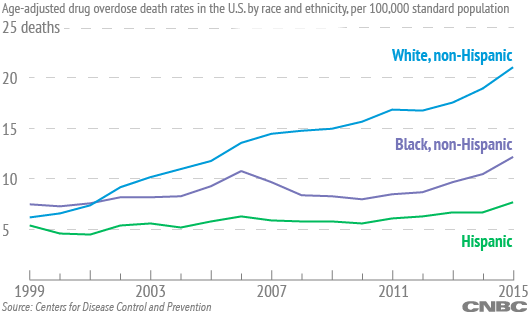 Is There a Generational Explanation for Rising White Death Rates? A legend has it that the Parthians killed Crassus by pouring molten gold into his mouth, mocking his thirst for wealth. I’d regard it as poetic justice if the heads of the companies responsible for the opioid crisis were to be similarly treated. Are there Jews behind this? Was it intentional? Or just collateral damage while they were pursuing money? More like killing two birds with one stone. Yeah, probably it’s true. Gut feeling tells us that. If we can find any evidence. How many soldiers came home from Vietnam dependent on heroin? I know several. My cousin was a marine on the DMZ back in ’66. He told me a kid would run up to you with a handful of potent heroin for the price of 10 dollars. Addicts that obtain their drugs by prescription imagine they are above those who buy outside the pharmacy. Narcotics Anonymous call it Grandiose.